We continue to develop positive relationships with our partners in education, including local school boards, colleges, universities, and the Anishinabek Education System. With the support of enhancement funds and the Education budget, the NFN Education department offers an Adult Education program in partnership with Ontario Works, Employment & Training, Nbisiing School, Kendaaswin (NFN Library) and the Near North District School Board. We have a First Nation teacher on-site in Garden Village at the Library and in Duchesnay at Nbisiing Secondary School. The teacher is available twice a week in each community to support individuals seeking to complete their Ontario Secondary School Diploma (OSSD) in a timely manner. Adult students earn “maturity” and PLAR (prior learning assessment and recognition) credits towards achieving their OSSD. 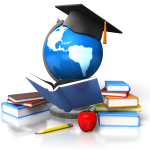 View the 2018-2019 Adult Education Schedule. Registration is required. Drop into a session for assistance or contact Tracy Hanzlik at 705-753-6995 or tracyh@nfn.ca. Through a partnership formed with Health Services, Child Welfare Services, Culture & Heritage and our Library, the Education Department helps support the Integrated Children’s Program (ICP) and the Summer Children’s Program (SCP). These programs are now managed by the new Children’s Services department, but the Education Department continues to assist with coordinating experiential learning and activities with elders, parents and community partners focusing on land-based learning. We are grateful for our partners, Biidaaban Community Service-Learning program with Nipissing University, which provides academic supports for our children’s program. 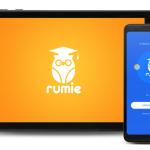 We are in partnership with Rumie, a non-profit organization that makes access to digital education possible by providing free tablets to our Education department. The tablets are preloaded with high-quality educational textbooks, videos and games tailored to a student’s age and curriculum. Rumie tablets are interactive digital libraries that cost less than the average textbook. All learning content can be used offline, making each tablet a portable library for students to use wherever and whenever they want. With extra storage space, there’s enough room to include learning materials for all subjects. Non-governmental organization (NGO) partners use the LearnCloud to browse through content recommended by other partners, choose the content they want, and also add their own. Subjects include English literacy, STEM, job training and vocational skills, financial literacy, health and more. Students only have access to preapproved content and we continually store local content for the learning of our students in the area of language, curriculum, history, Nishinaabemwin learning, NFN programs and websites. Tablets are shared with local school boards, Nbisiing Secondary School and are also available at our local Kendaaswin (Library). The Education Committee meets once a month and advises Chief and Council of updates on educational issues, programs, policy and recommendations. The committee consists of a Chairperson (member of Council), seven (7) committee members and a resource (Director of Education). Learn more about the committee’s mandate, roles and responsibilities by reviewing the Education Committee Terms of Reference (ADD LINK) and the NFN Committee Policy. The Education Department staff and the Education Committee has representation on the First Nation Advisory Committees and Special Education Advisory Committees for all the Boards, as well as Nipissing University’s Indigenous Council on Education, Board of Governors, and Canadore College’s Indigenous Circle on Education. First Nation Trustees are also appointed to the Nipissing Parry- Sound Catholic District School Board and elected to the Near North District School Board, who continue to provide updates on Indigenous initiatives within both Boards and keep us informed about various Ministry of Education and Board initiatives.